HotTag Competition: Win $50/£50 of Yarn! Our latest HotTag competition is here! 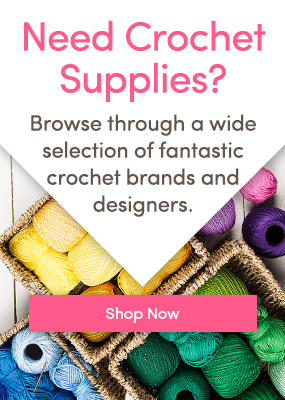 Launch into 2018 by sharing your first crochet project of the year using our HotTag #FirstCrochetProject and enter to win a whopping $50/£50 to spend at LoveCrochet! Whether you’re hooking up with a fantastic new amigurumi pattern, embracing some fresh apparel designs, or redecorating your home with some crocheted furnishings, we want to see what you’re working on! Choose the yarn and pattern that the project uses. Use the HotTag #FirstCrochetProject so we can find your submission. Upload your project between Jan 1 and 11:59pm EST (NYC time) on Jan 31 2018! Our judges will be looking at your description, image(s), and the quality of the pattern! Whether your crochet is easy or advanced, a kaleidoscope of colors, a patchwork sensation, a clean and crisp craft, or an amazing amigurumi creation – we can’t wait to see your designs! Not sure how to upload a project? Don’t worry. Just click here and we’ll show you how! Here are some super popular patterns to get your creative juices flowing! For more inspiration, take a look at some amazing projects and patterns here! Share Your Chemo Hat Project and WIN £100/$100! Win £75/$75 worth of yarn in our Woolentine’s Day Competition! Win Over £100 Worth of Yarn! #PawfectProjects HotTag competition!